We’ve been following the progress of Anoop Prakash since he was appointed head of Harley-Davidson Canada back in the Summer of 2015. It was a momentous change to the way the American bikes are sold in Canada. For more than 40 years, they’d been imported and distributed by Deeley Harley-Davidson, a set up that seemed well liked by the dealers. So it was a brave move for The Motor Company to end its contract with Deeley and take control of the Canadian market. Prakash was appointed Managing Director, coming straight from a similar role as Harley’s first managing director in India, where he established not just the brand but an entire manufacturing facility. He’s a smart guy with degrees from both Stanford and Harvard in Economics and Business, starting his career as an Intelligence Officer in the U.S. Marine Corps before going on to the role of business director in various corporations. We found a quiet room away from the hustle of the recent Toronto Motorcycle Show and sat down to talk business. He seems a lot more laid back than your usual executive and I hoped to get some revealing nuggets out of him, but started with an easy question. With more than a year under his belt now, what can he tell us about the changeover in Canada from cutting the middle man, Deeley, and going straight to the customer? Prakash was obviously cautious about slighting Deeley and complimented them on the job done to date, but he was here to justify the changeover decision and started by reeling off the benefits: leaner, faster and smoother operating cycles; longer-term planning; better access for customers directly to the Milwaukee call centre; the ability to launch new models in better sync with the U.S.; and an overall coordination of all the facets of the business. He was quick to promote the benefits to dealers, too. One of the first actions he took was to visit all the Canadian dealers, and now he’s met them all at least twice. This was key, because Deeley was popular with dealers and there was some skepticism of The Motor Company’s takeover. The visits uncovered a couple of things – both related to pricing. Deeley was infamous for announcing price changes mid-way through the model cycle, which starts in August. The Canadian dollar is never a sure thing against the U.S. dollar and a midseason adjustment will ensure prices are kept aligned. This doesn’t seem to be an option for Prakash, and he’s trying to make them a thing of the past – a tough decision after the recent fall of the loonie and I have a hunch he may be getting some heat from the higher-ups in the U.S. about the wisdom of this decision, but he seems determined to see it through. Then there’s the other pricing headache: cross-border parity. Most of Harley’s Canadian dealerships are within 100 km of the U.S., and a minute on your smartphone will show if you’ll get a significantly better deal on the other side. 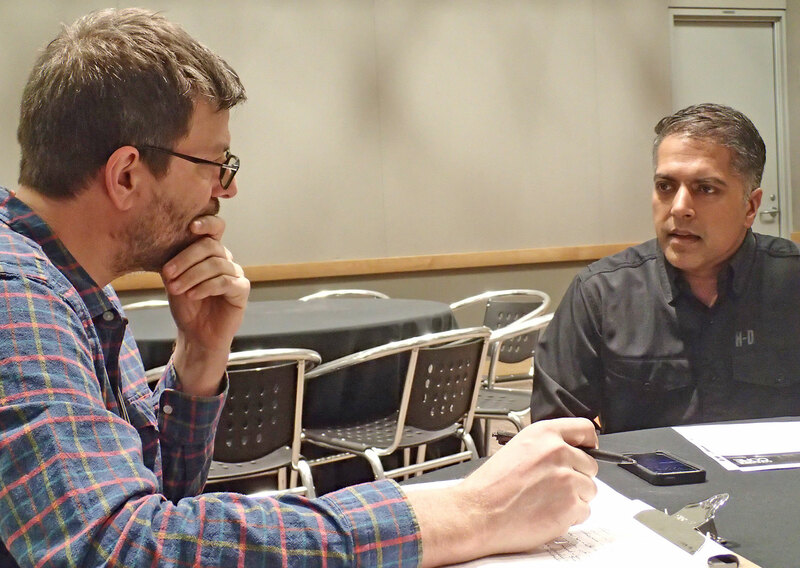 Dealers don’t want to alienate their customers by offering more expensive bikes, and potentially losing them to the American-based competition to boot, an issue that Prakash is tackling by lowering pricing. According to our own figures from the CMG Buyer’s Guide, H-D dropped 2016 pricing across the board, by as much as 10% over 2015. And that’s with a much poorer currency exchange rate that makes the move even more aggressive. The results seem to back Prakash’s gambit. Where sales in the States are down 3.4% in the last quarter of 2015, in Canada they’re up an impressive 12.3%. But the price drop may also have something to do with a new and dangerous competitor. Indian’s Roadmaster strikes at the very heart of the American V-Twin bagger market. For a very long time, it’s been easy for Harley-Davidson to fend off any attacks on its brand and style of motorcycle. After all, to be an American cruiser you have first to be American, which made the company almost immune to other V-twins. But that was before Polaris introduced its own American Cruiser, the Victory — a departure from the Harley vision for sure — and now its Indian brand is mixing it all up still further. 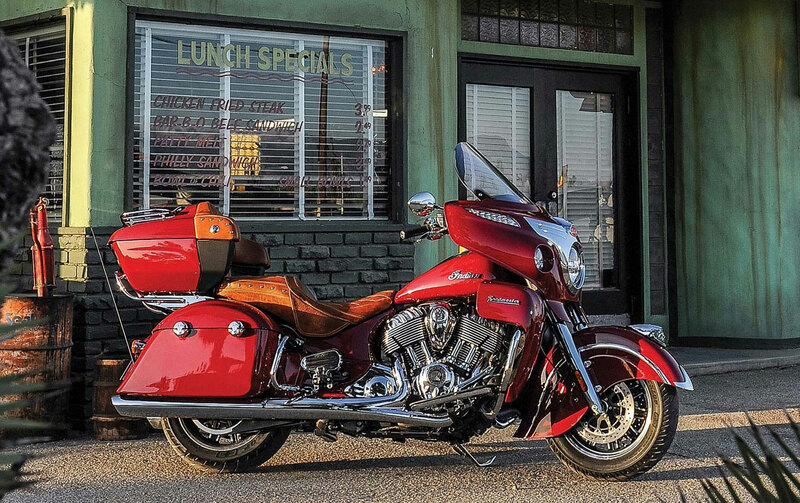 Unlike Harley, Indian’s 2016 prices have generally seen price hikes of 5, 10 and even 15% (notably its top-of-the-line tourer, the $36,299 Roadmaster). Compare that to Harley’s closest equivalent (by genre and engine size), the fully-decked CVO Road Glide Ultra tourer costs a hefty $48,389. Then he pulled out the company’s trump card – the Harley Owners’ Group. “It’s all about being close to our customers. No-one else can do that,” he stated, matter-of-factly. Iron 883 or Scout Sixty? The Indian has a lot more on the spec sheet for only a little more money. It’s true. No other manufacturer has the Harley riders’ loyalty and quasi religious belief in the brand. I can’t help but think, though, that Prakash’s optimism is as much wish as faith. Indian isn’t going away now, and it has a targeted line that nips at the heels of the Harley idols. Even the staple Sportster 883 Iron is getting a run for your money from the new Scout Sixty. For only an extra $330, the Scout Sixty offers a bigger and more up-to-date motor with more torque and almost double the claimed horsepower. Maybe all Indian needs now is a successful Indian Owners Group? That’s no easy feat, but whatever unfolds I can’t see the likes of Prakash giving up ground without a fight. So what does the future hold for Harley-Davidson Canada? How is it coping with the aging of its core demographic, and what new product is coming down the line? And what’s happening with the electric Livewire? Find out next week in the second part. Mr. Prakash seems to have things under control. The competition is tough in general & no different for H.D. Being a HOG member, I agree with Annoop, HOG is one of many reasons for the continuous success of Harley. Did the whole HOG thing for a year when it was free, never saw the value. But the Harley anniversary parties in Milwaukee (been to the ’03, ’08 and ’13) was incredible in many ways – most notably the way the city welcomed us and how the Davidsons were so present and approachable. Nothing else like that. Zac, it’s incredulous how quickly you raise doubts on a company that still sells nearly 250-300,000 pretty expensive motorcycles year after year. Half your article talks about Indian, but even if grouped with Victory they’re selling in the 20,000 unit range, and they’ve been at the ‘merican motorcycle game since 1998! But of course they got to adjust. Bikes and parts are still cheaper in the States, and for the first time I’m seeing low financing on new models. But I’ll say this after owning nearly every brand there is – once you get over Harley prices (still not as bad as BMW in my experience) – the Harley dealer experience is 2nd to none. Yeah, that Zac, a doubter for sure. It was actually me who wrote the article. I think the Indian threat is very important. Yes, the numbers are not the same as Harley’s for sure but they are the first viable competition that they’ve had for years. This makes it a very interesting moment for them and they have a very competent and bright guy at the helm in Canada, so I’m intrigued to see what happens next. After taking over from Deeley’s, they gassed everyone who wasn’t bilingual. What’s the plan for filling the void, or are they simply going to run Canada like a regional office ? Looking forward to Part 2 of your interview. Indian may be the best thing that happened to Harley yet – to get them thinking a bit more about evolution vs. just product tweaks. I wouldn’t worry too much about the skirted fender’d Indians, no one does the classics / tradition more authentically than Harley. But I would worry about the Scout, it shows they’re looking forward which is important to the demo they both want to attract. But that’s not Anoop’s department, though I am interested to hear how they plan to turn the tap on untapped segments, most notably youth (sorry, it’s not the Street 500/750 as currently configured), and all the fence sitters who still haven’t made the leap. Does Fred not have exclusive rights anymore? Fred died a long time ago and Trev passed in ’02. Deeley Harley-Davidson was run by Trev’s business partners and yes, no longer has the concession for Canada. 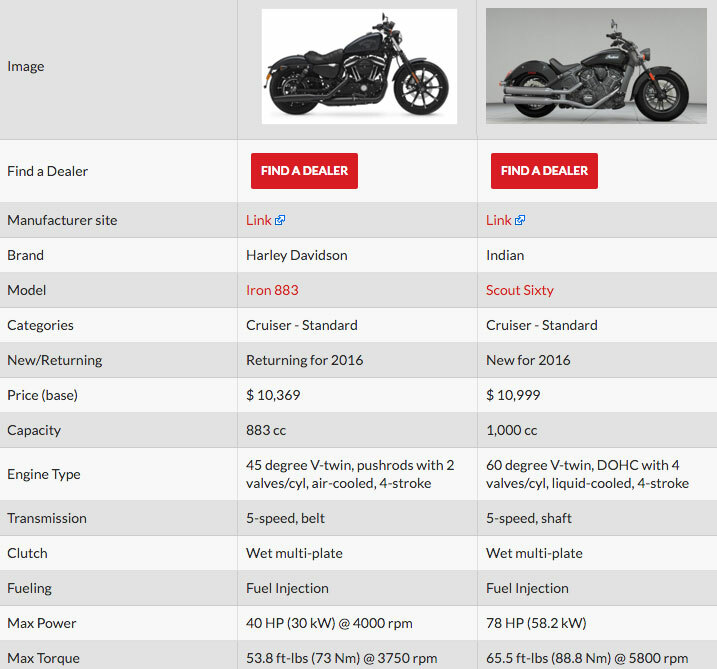 As mentioned in the interview with Anoop, Harley-Davidson is now dealing direct to Canada. The dealer attitudes have to change. My best friend – on my advice – went to the dealer in the west end of Toronto to order a battery for his 3 year old BMW. They are a Yuasa dealer according to their website banner. He was told “we sell Harley branded merchandise only” How that for turning off a potential customer. Anoop has a lot to root out in my opinion. I must confess I have had little experience with dealing with HD dealers since I’ve never owned one but I have heard a lot of exactly what you said. I think that attitude has been acceptable for the longest time because they had no need to reach outside the HD box, but as you say, that’s likely to have to change and pretty quick.